Did you know that 91% of sites ranking on Page 1 of Google use social media? Combining social marketing with your SEO campaign can have a dramatic effect on your website’s search rankings! Keeping up to date with the latest trends, and maintaining a regular posting schedule is time-consuming. If you’re like most small business owners, time is generally in short supply. When you outsource your social media management to RankPay, you can focus your energy where it’s needed most. It’s simple really. We’ll take the time needed to capture your unique tone and position in your marketplace. Further, we’ll provide your social media accounts with a steady schedule of relevant and pre-approved (by you) posts to engage your audience and earn new followers. social strategy to meet those goals month over month. Top ranking sites consistently use social media to encourage and improve upon their search visibility. 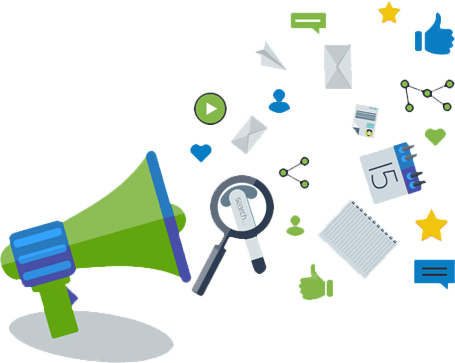 Our pro and enterprise plans offer community management message forwarding and audience boost features. You can cancel your social marketing plan at any time. There are no long-term contracts required to get started! Posting fresh and relevant content is key to success on social media. We’ll never miss a deadline and you choose the schedule. You’ll have a dedicated writer that communicates directly with you to learn your business tone, industry & audience.